The 2018 free flu shot clinic at our west county location was on Oct. 7. The next free flu shot clinic hosted by Barnes-Jewish West County Hospital will take place at the beginning of the next flu season, in October 2019. The single best way to protect against the flu is to get vaccinated each fall. Barnes-Jewish Hospital offers free flu shots to those in our community who would otherwise not have access to one. This is made possible by funding from The Foundation for Barnes-Jewish Hospital. If you were unable to make it to one of our flu shot clinics this year and you are in need of a flu shot, please contact your health care provider or local health department. For more information on flu shots, click here. WHO SHOULD HAVE A FLU SHOT? People at high risk for complications from the flu. Adults with chronic heart or lung conditions, including asthma. Adults who needed regular medical care or were in a hospital during the previous year because of a metabolic disease (like diabetes), chronic kidney disease, or weakened immune system (including immune system problems caused by medicines or by infection with human immunodeficiency virus [HIV/AIDS]). People 50 to 64 years of age. Because nearly one-third of people 50 to 64 years of age in the United States have one or more medical conditions that place them at increased risk for serious flu complications, vaccination is recommended for all persons aged 50 to 64 years. People who can transmit flu to others at high risk for complications. Any person in close contact with someone in a high-risk group (see above) should get vaccinated. This includes all health-care workers, household contacts and out-of-home caregivers of children 0 to 23 months of age, and close contacts of people 65 years and older. CAN MY CHILD BE VACCINATED TOO? All children 17-years and under must be accompanied by a parent or legal guardian. A grandparent can bring the child with a written consent from a parent. If this is the first year your child is receiving the flu vaccine and he/she is 6-months through 8-years of age, then a second follow-up vaccine is required four weeks after the first dose for maximum effectiveness. Only the first dose will be given at these clinics, so you will need to see your primary health care provider for the follow-up vaccine. If your child is 6-months through 8-years of age and received 2 or more doses of flu vaccine prior to July 1, 2018, then only one dose of vaccine is needed this season. FluMist, egg free (Flublok) and intra-dermal vaccines will not be available. The vaccine does not contain thimerosal, a preservative. The vaccine does not contain latex. A flu shot will not be given to a person who has had an allergic reaction to a vaccine in the past, egg allergy, or ever had Guillain-Barre Syndrome. 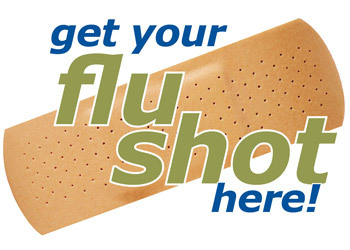 A flu shot should not be given to a person with a fever or respiratory illness. For more information about the free community flu clinic, please email communityoutreach@bjc.org.